Talking about Canada, what is there that people from across the globe get attracted so much to this place. Well, the bright kaleidoscopic hues, better standard of living, and highly fast life style have always been something of an attraction. It is on account of these unprecedented advantages and attractions, that this country witnesses immigration at such large scales. 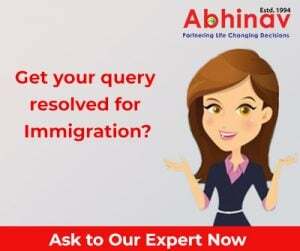 If you also are motivated with immigration to Canada, and are willing to move via its latest offering Express Entry, under eligible occupation list for 2015, in that case, you must ensure that you understand the eligible occupation list. In this piece, you will be able to figure-out that in the best way. The Federal Skilled Worker Program (FSWP) under Express Entry is a watershed moment in the Canadian immigration history. This program will allow only eligible contestants to come forth for the competition. Once this Express Entry Program flexes its muscle then only those who have been provided the invitation to apply, can register for immigration. This step will readily reduce bogus competition, and open new realms for quick movement to the overseas hotspot. The Express Entry follows occupation list for any particular year. Hence–if you have applied for any particular calendar year, and your application gets rejected or is still on hold–in that case, once the year ends, then your petition gets exhausted. You will have to apply once again for registration. If you are applying for Canada under Skilled Occupation List, in that case, you need to appear for point based Comprehensive Testing System. Once you are taking this test, then the concerned authorities would evaluate your skills, experience, knowledge, qualification, experience, occupational acumen, and other related things for getting a right conclusion about your eligibility for movement. The Express Entry eligible occupation list for 2015 seeks only skilled and highly enthusiastic professionals who can help the national economy thrive. Against this backdrop–if you are the right person for the job–then you can get through to live in the Maple Leaf Country. There is a regular draw scheme conducted for facilitating movement under Express Entry. In such draws those candidates, who are placed higher, are the ones that would be considered first for movement under occupation list 2015 administered by Express Entry Program. The draw is highly appreciated for being unbiased and providing equal opportunity for all. Even though a candidate has no offer from any employer based in Canada, still he can move if his name is drawn in the competition. This unparalleled and pioneering proposal that Express Entry is following has opened new realms for movement even for those who have failed to get sponsorship from any employers in the Maple Leaf Country. As there are very few applicants having sponsored movement from employers, there is high scope for those individuals who are not sponsored to move to this country. If your profile attracts any employer back in Canada, and they sponsor you, then in your Express Entry profile it will be updated and your petition importance will increase instantly. Want to Migrate to Australia as Developer Programmer? What Are Major Benefits of Express Entry 2015?